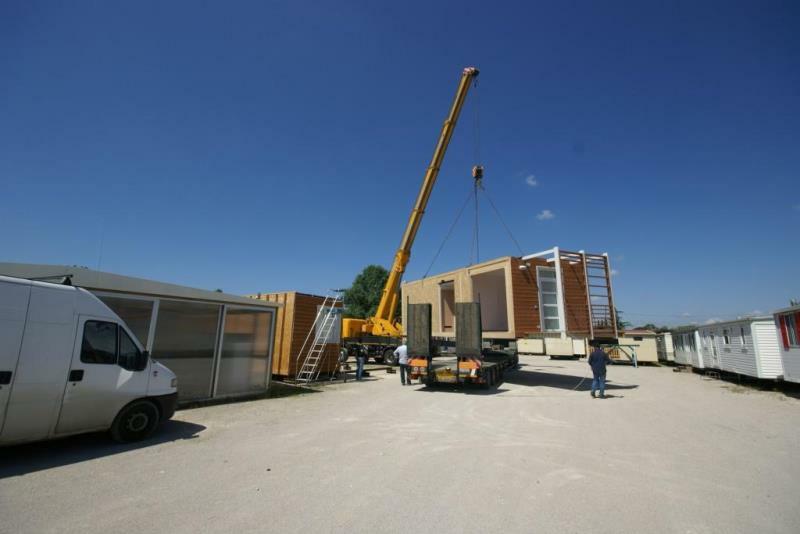 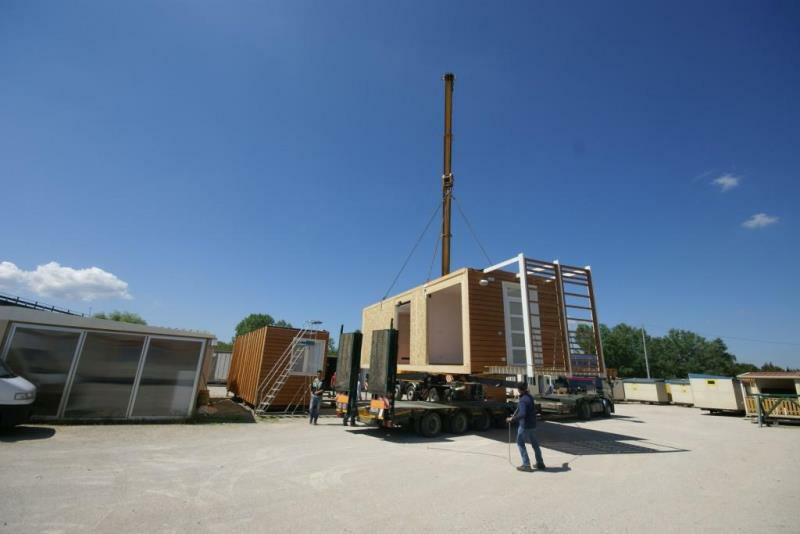 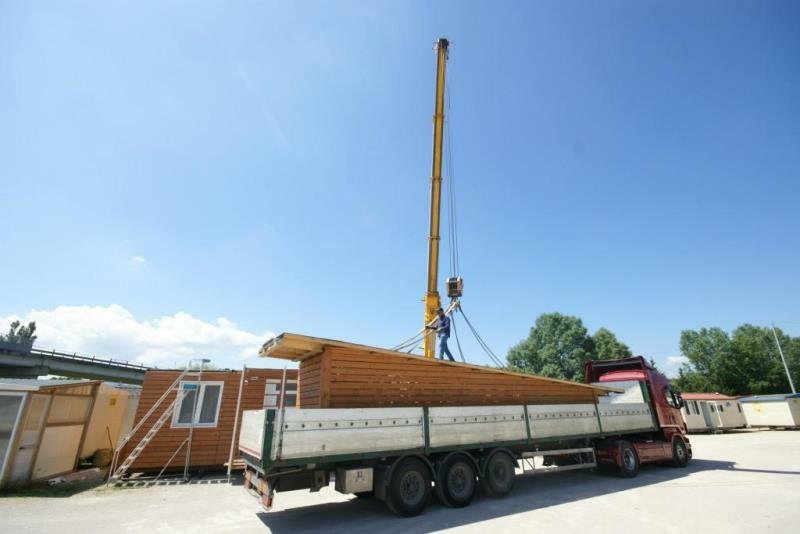 4Springs Case Mobili srl, in addition to selling mobile homes and prefabricated houses, offers its customers also a transport and installation service for the units themselves. 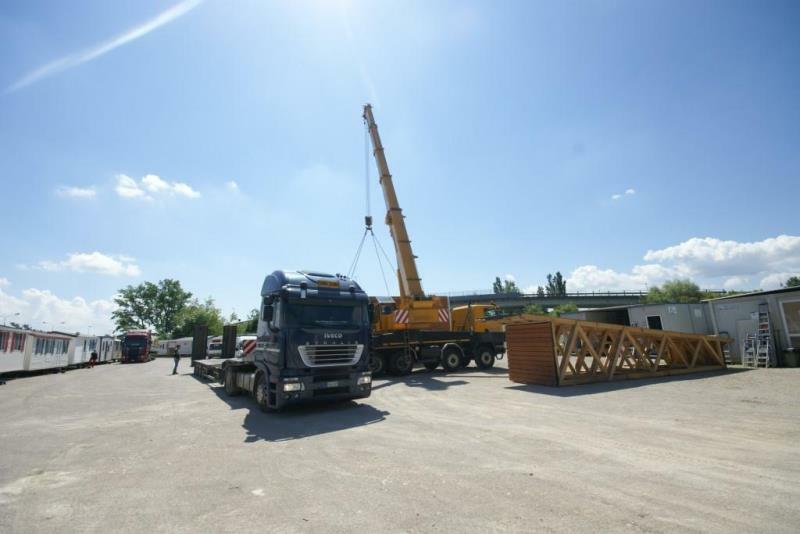 4Springs, in fact, can make available available trucks, cranes and other machinery suited to the maneuvering of exceptional loads. 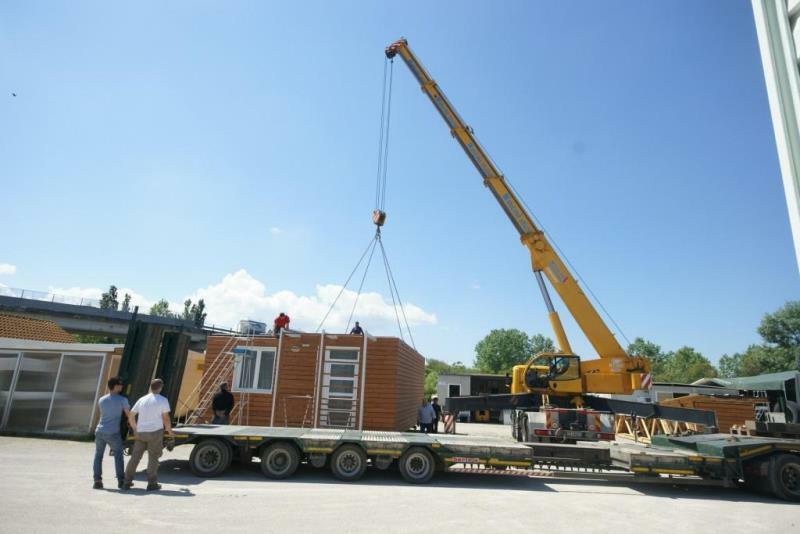 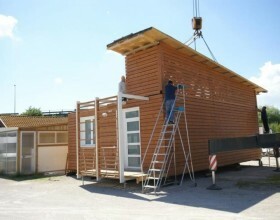 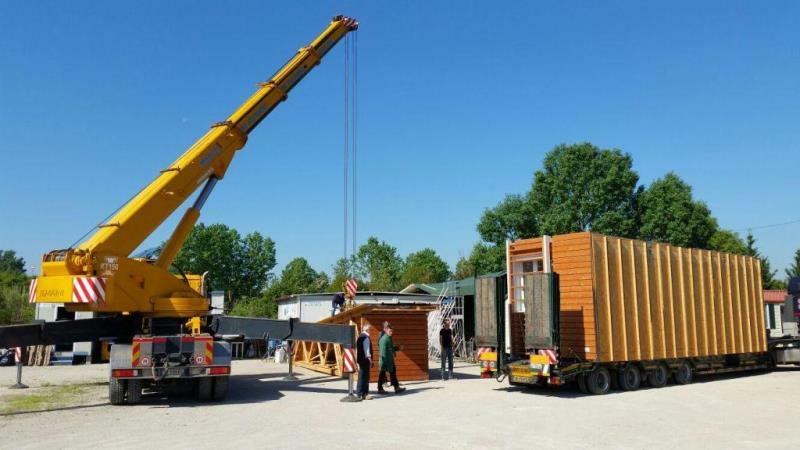 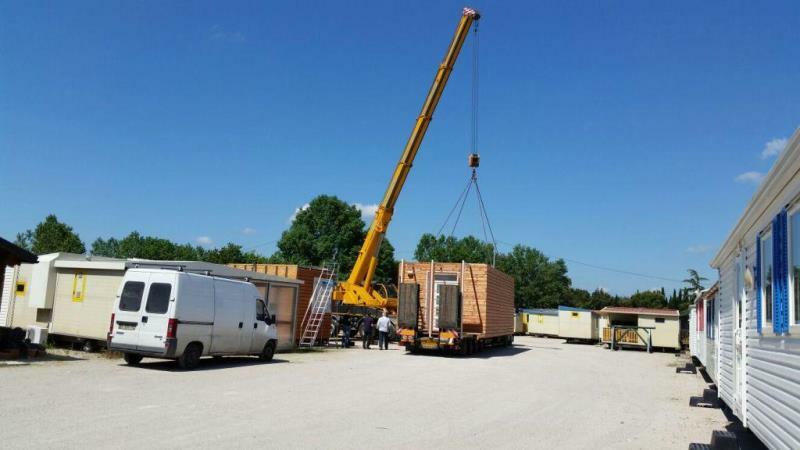 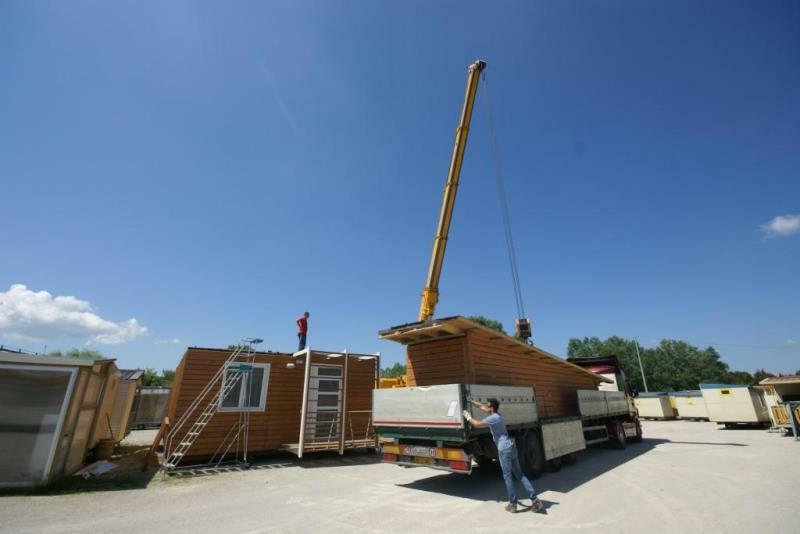 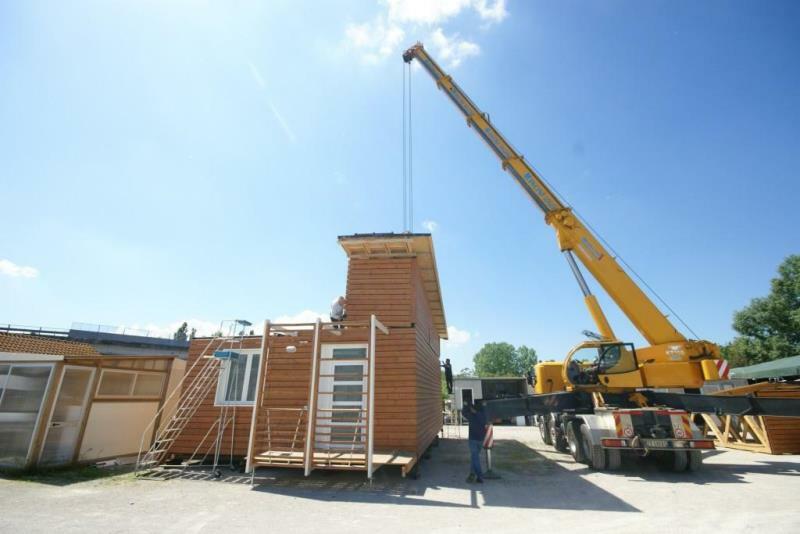 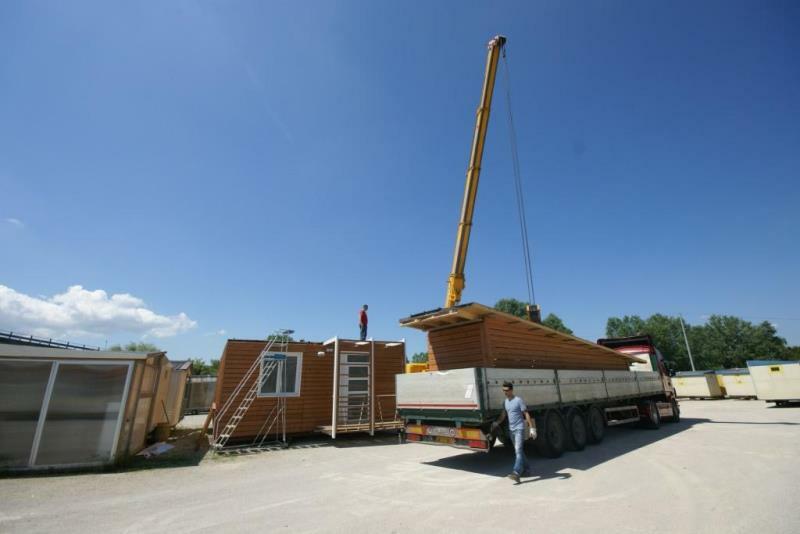 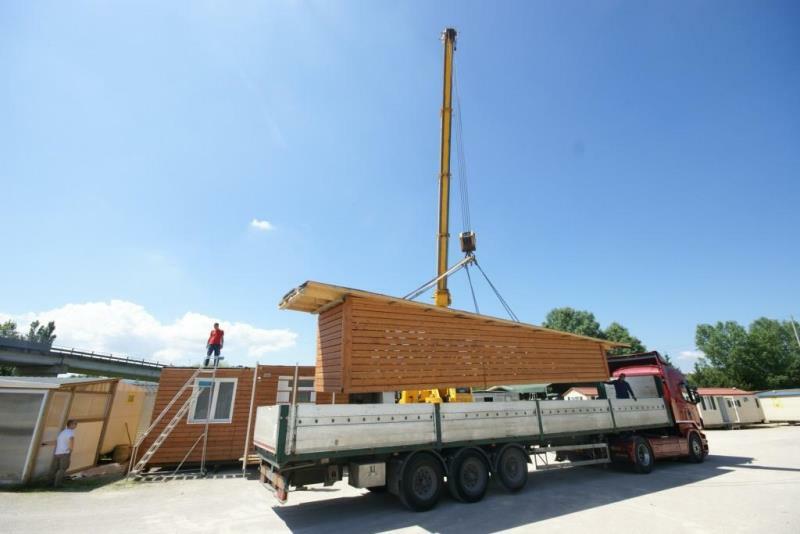 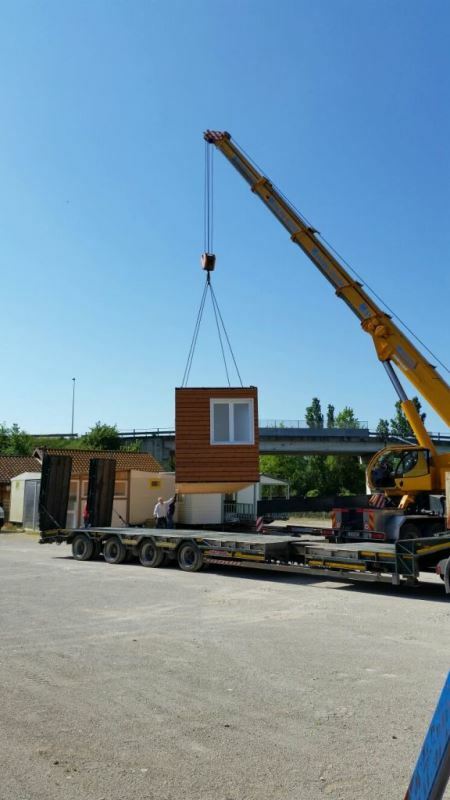 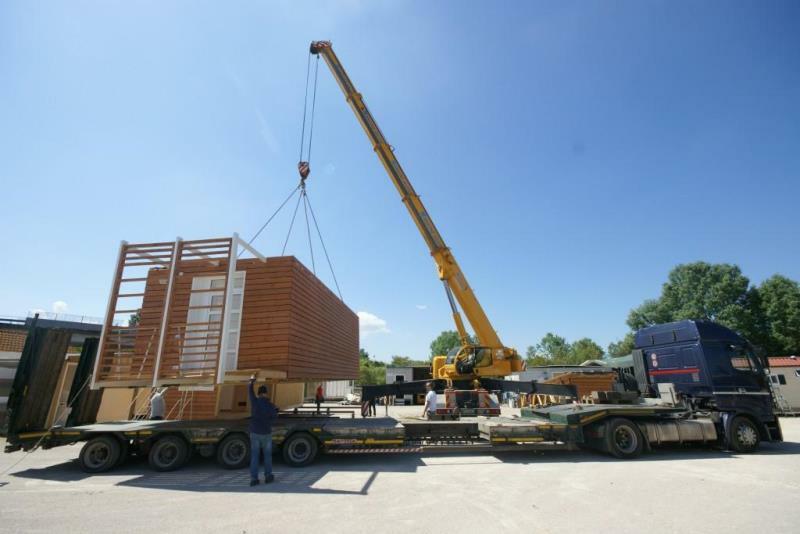 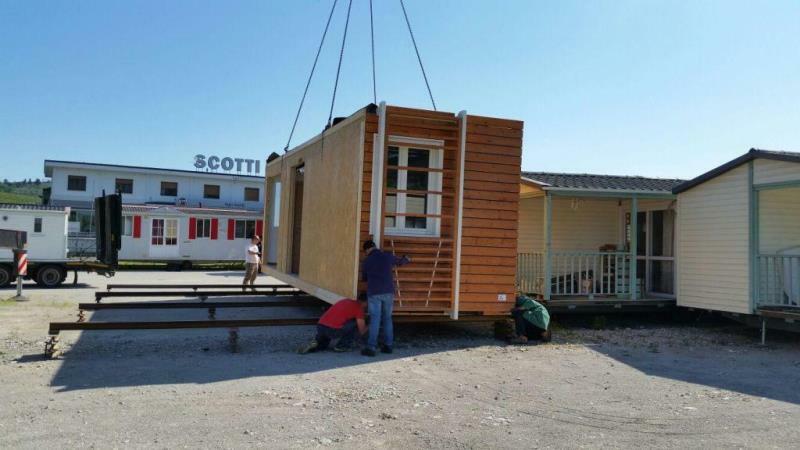 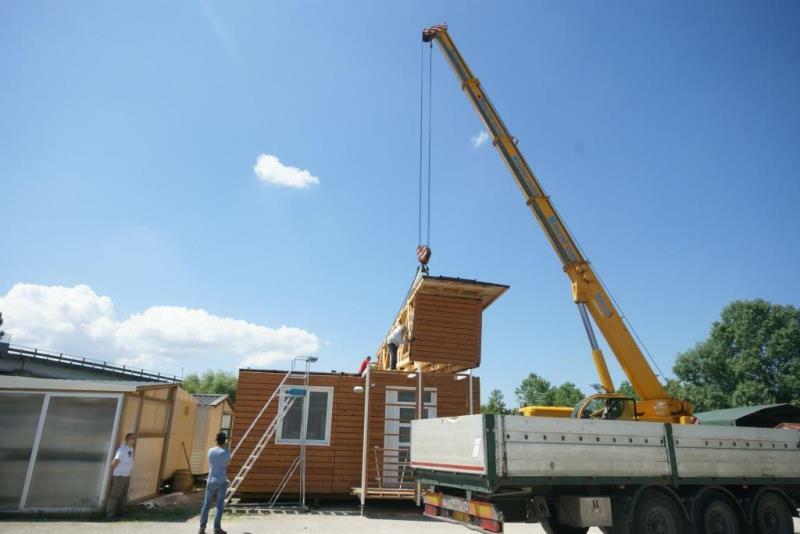 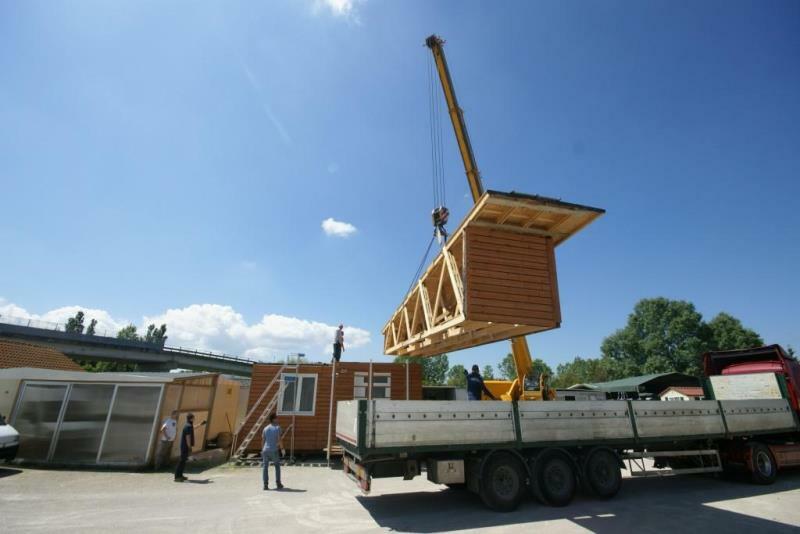 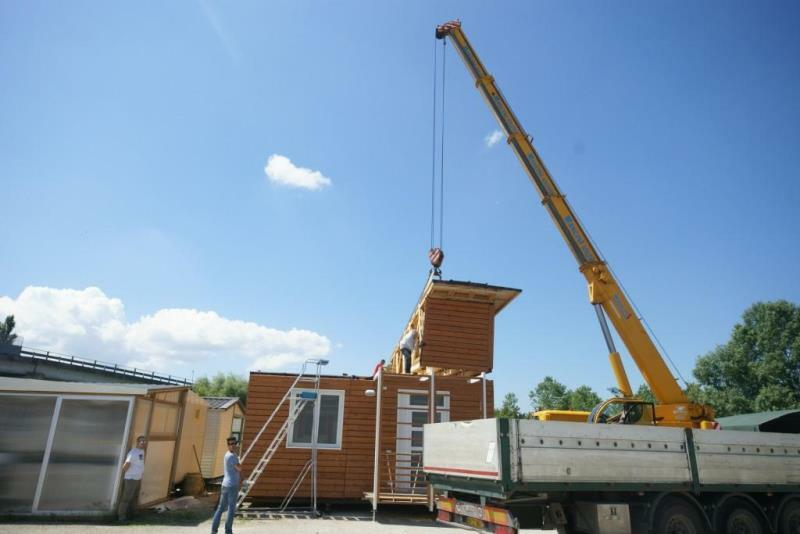 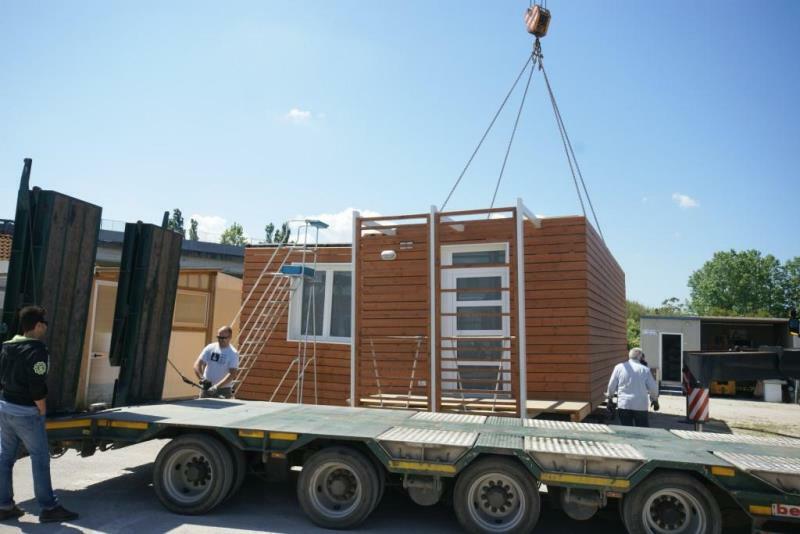 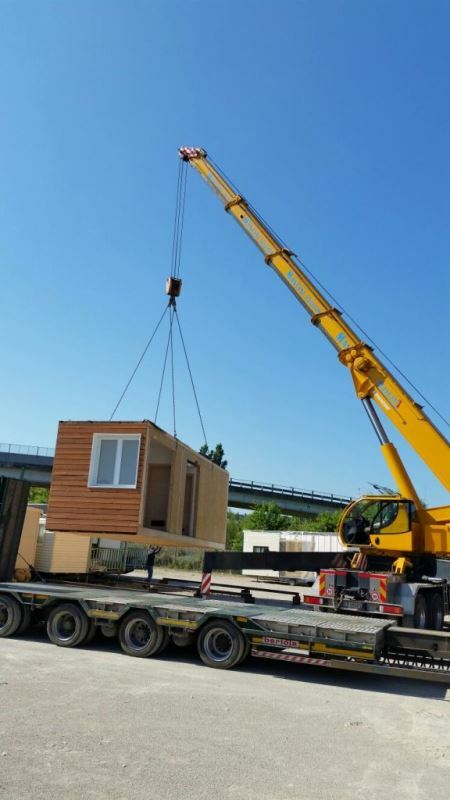 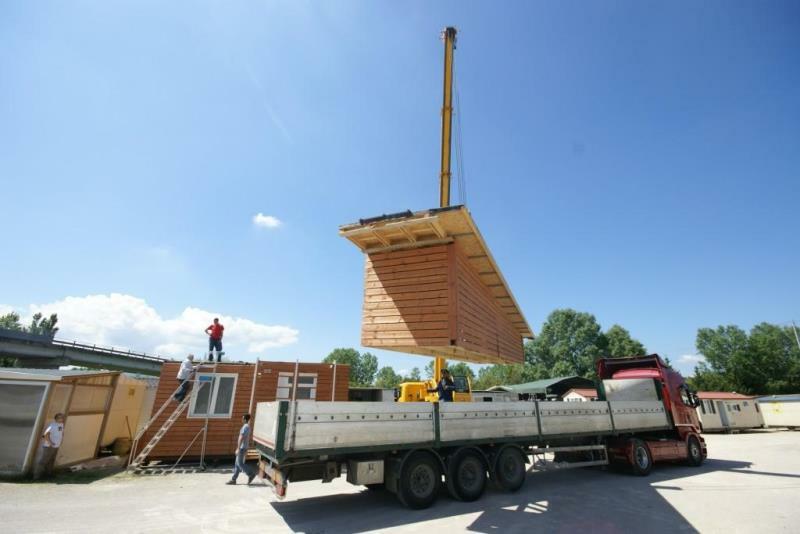 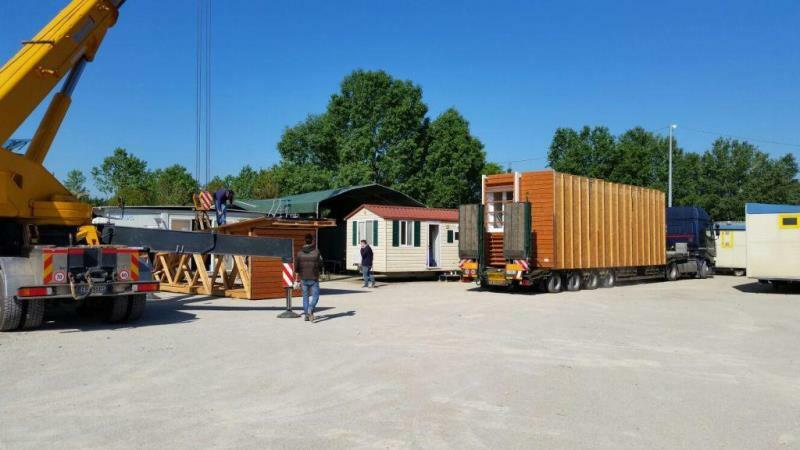 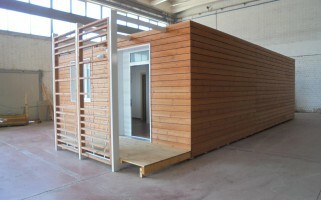 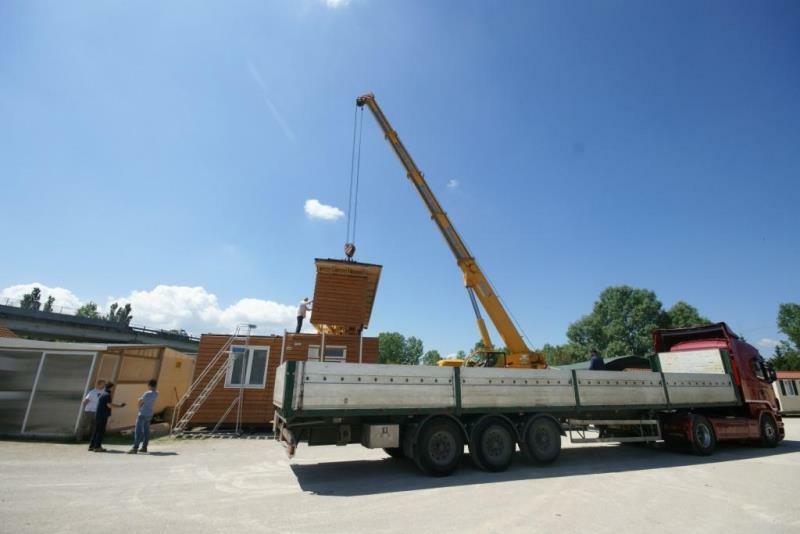 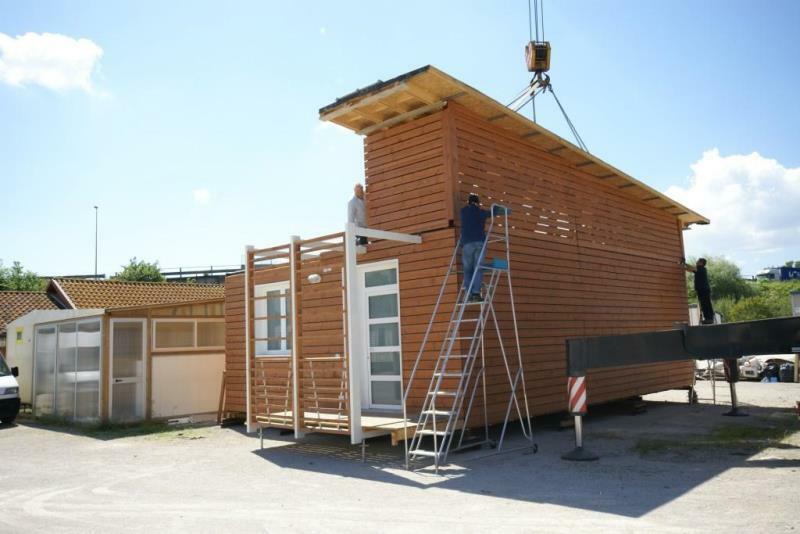 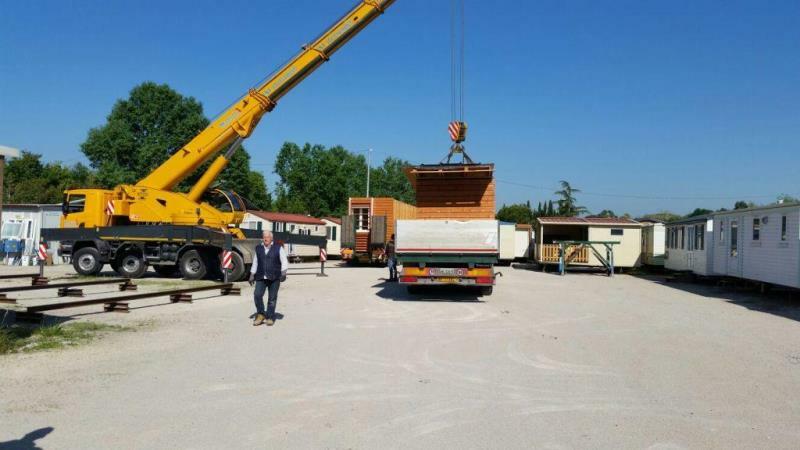 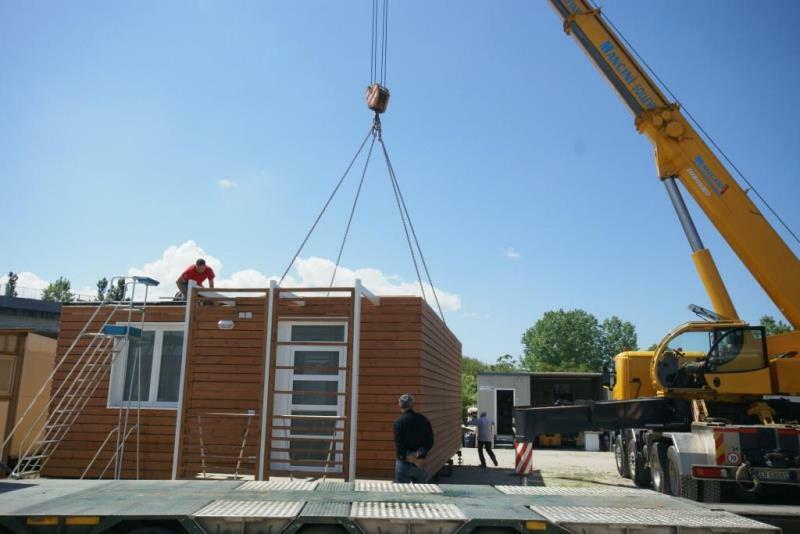 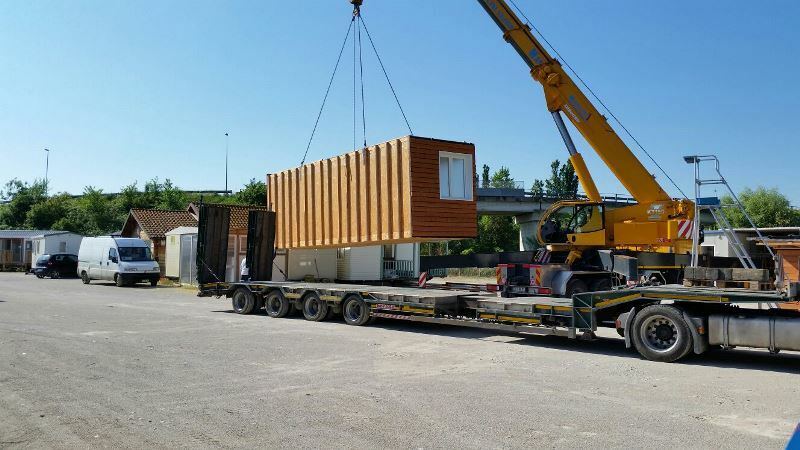 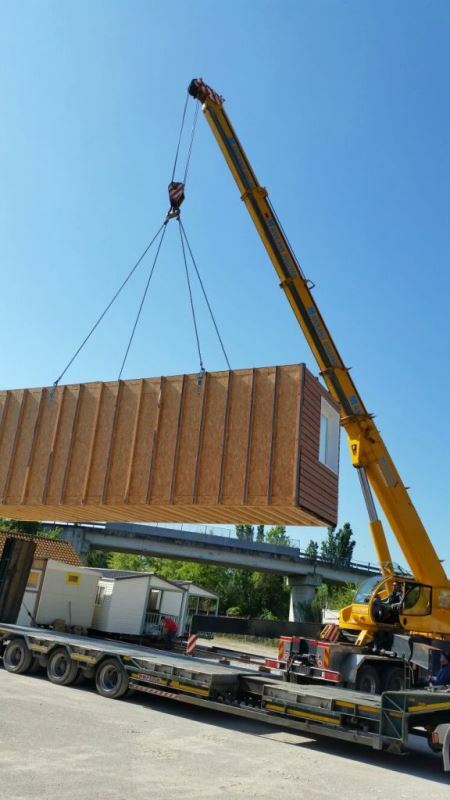 In recent days, in fact, some of 4Springs Mobile Homes staff have dealt with the transportation and installation of a prefabricated wooden house by Shelbox. 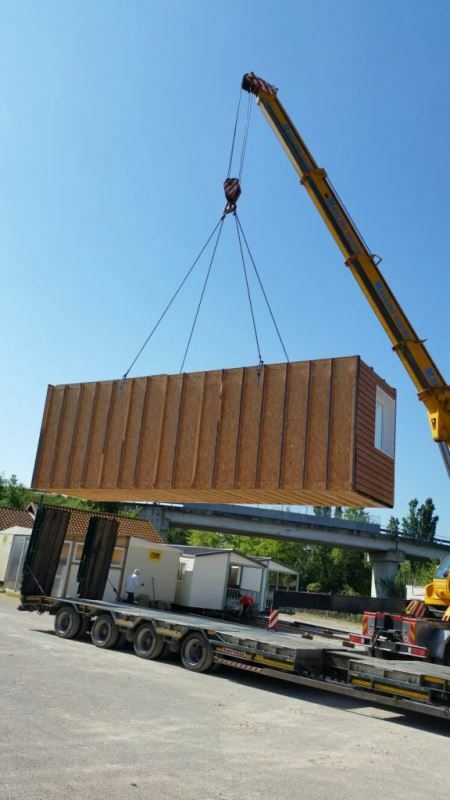 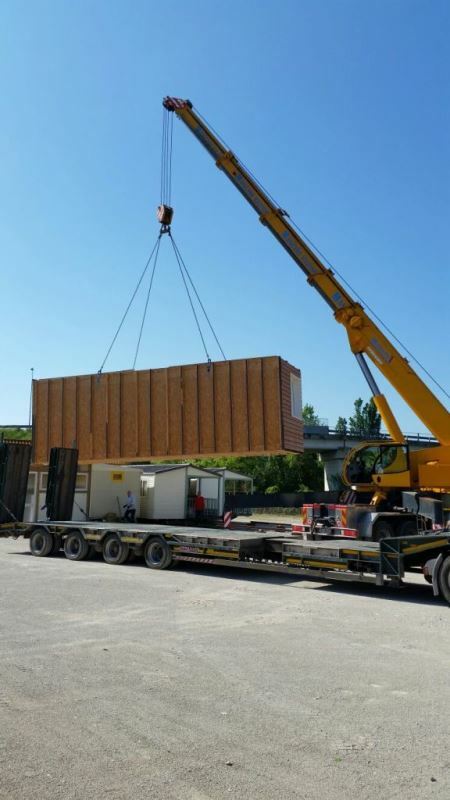 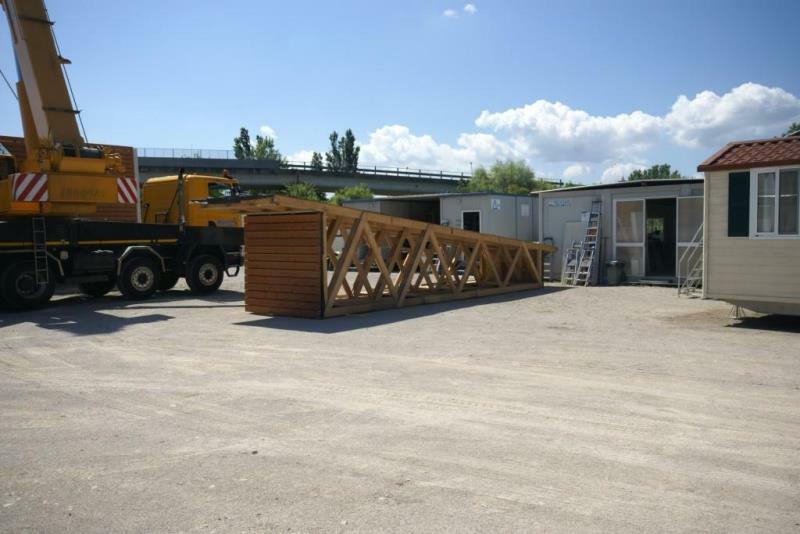 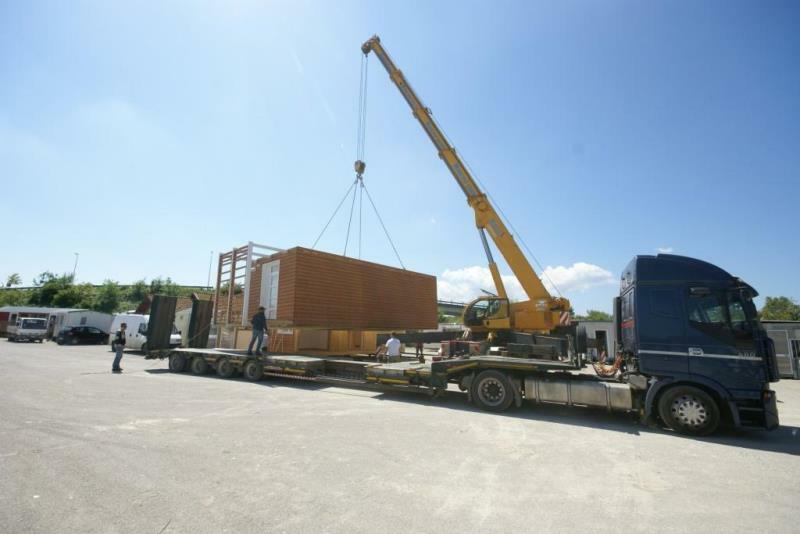 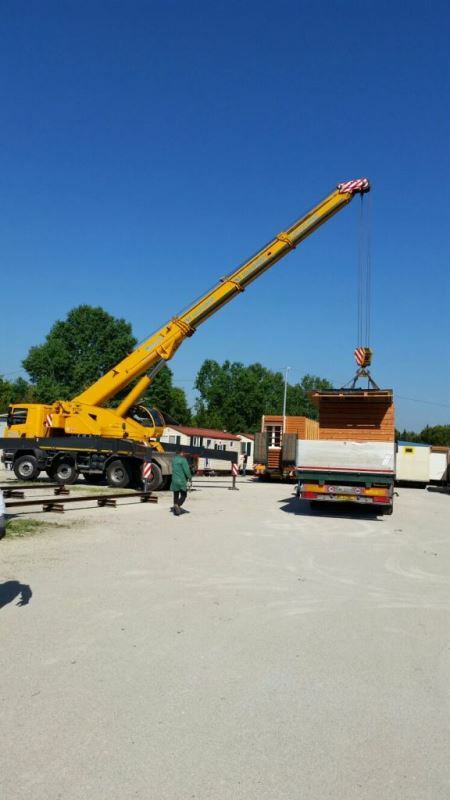 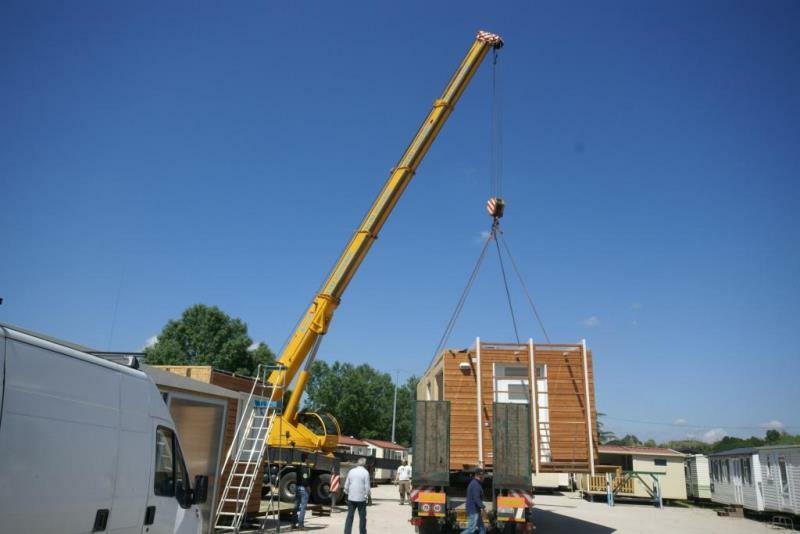 Through the use of a crane and two trucks for transport, the trained 4Springs team first removed the prefabricated house that was in our showroom and then reassemble it once it reached the new destination. 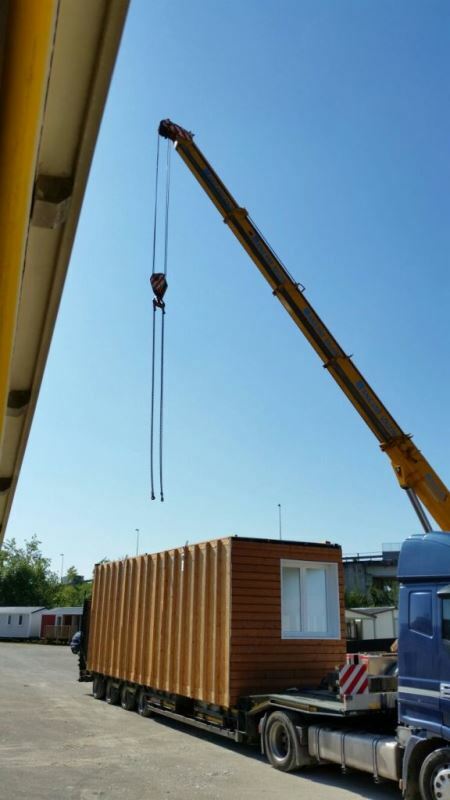 For the entire operation we needed about 8 hours. 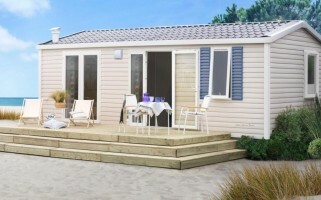 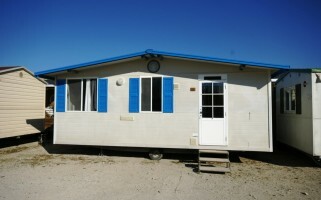 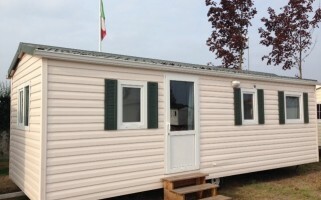 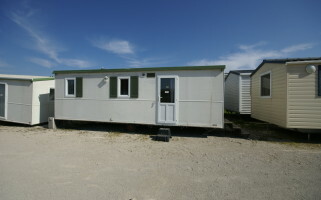 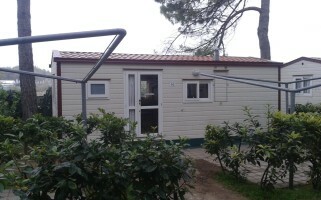 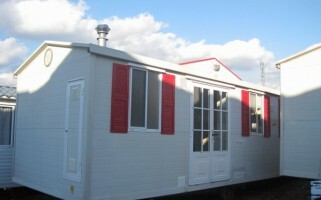 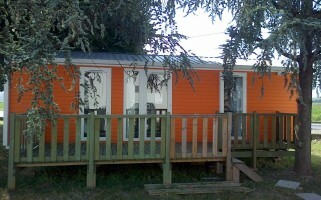 Our technicians are able to address any issues concerning mobile homes and prefab houses. 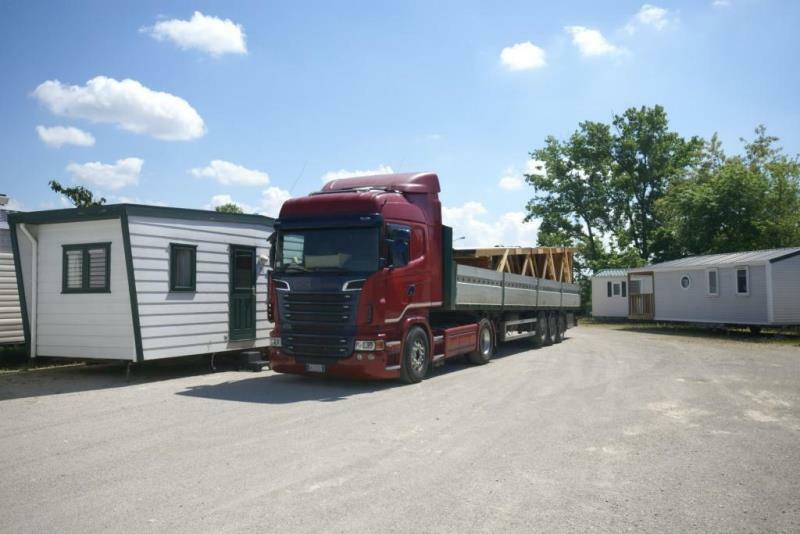 Contact us here to receive more information!